To learn more about the NC AHEC Scholars Program and to view the specific application instructions for your AHEC, select the AHEC in the region where you are currently enrolled in a college-level health professions education training program in North Carolina. Join a national network of AHEC Scholars and develop the skills you need to make a difference in our state of health. Be a part of an interprofessional cadre of health professionals committed to community service and to transforming health care in North Carolina. 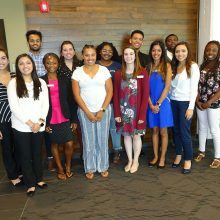 The NC AHEC Scholars Program recruits, trains, and supports a diverse group of students from across the state, creating a multidisciplinary team of health professionals committed to both community service and the transformation of health care in North Carolina. 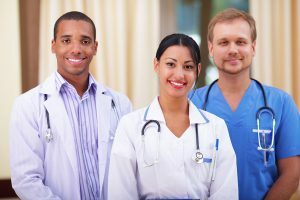 With an emphasis on individuals from underrepresented minorities, disadvantaged/rural backgrounds, and first-generation college students, the NC AHEC Scholars Program aims to improve the diversity and distribution of all health professions and to support health systems transformation across the state. Each class of NC AHEC Scholars represents a variety of health professions and institutions from every region of North Carolina. Selected applicants participate in a two-year educational program and may receive a subsidy, subject to academic or institutional approval. Each AHEC Scholar will receive an NC AHEC Scholars Certificate, setting them apart from other students in an increasingly competitive environment. Selected scholars will also have the chance to meet leaders in health care and make connections with other participants, creating an invaluable network for their future careers in health care. Co-created and co-taught by faculty across the state, with both statewide and regional components, the two-year NC AHEC Scholars Program includes 40 hours of didactics and 40 hours of clinical work each year. Scholars develop new skills and are introduced to an interprofessional framework that will be crucial to improving health and health care. Community experiences in a clinical setting are a foundational component of the NC AHEC Scholars Program. The program will begin in September and run through May each year, beginning in 2018-19. 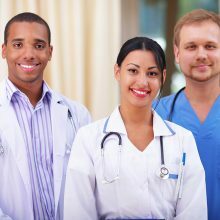 Curricular components of the NC AHEC Scholars Program may include interprofessional education, behavioral health education, social determinants of health, cultural competency, practice transformation, practical clinical skills, prevention, systems science, model for improvement, disparities, current and emerging issues, and regional topics. Your certification as an AHEC Community Health Scholar will announce to the world that you have the knowledge, skills, and attitude necessary to make a difference in health care. 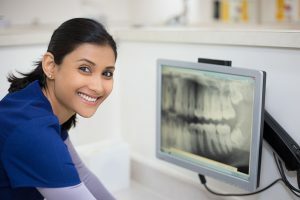 The AHEC Scholars Program is part of the National AHEC Organization, which supports and advances the Area Health Education Center (AHEC) network to improve health by leading the nation in recruitment, training, and retention of a diverse health care work force for underserved communities. Visit nationalahec.org for more information. more than two dozen other health professions education training programs.